“It’s ok to fall.” Daniella has a way of making you feel like the impossible is, in fact, possible. Daniella is a kind and generous friend, and someone who is always, always willing to listen. Daniella has the magic touch for turning your love light on. Positive, encouraging and sassy, she whips your dating game in order as she takes you through The Boyfriend Diet–her process of how to attract the love you deserve! Daniella is your go-to girlfriend, the no-nonsense girl’s girl who always has your back. Daniella’s dating approach is so refreshing–she champions taking care of yourself with steady doses of honesty and humor. Her insights about love and dating come from the same place as her unique coaching style: a big, open heart. Daniella is like the bubbles in your champagne glass; she’s striking and captivating and unabashedly, refreshingly, fun, goofy, authentic. But what is most important is that she really listens. When you share, reflect, or muse with Daniella, her eyes are trained on yours, her body gestures open toward you, and you feel safe and heard. Daniella doesn’t shy away from talking about the difficult stuff. 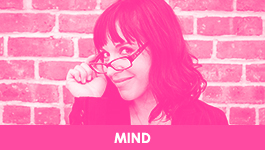 She’s this incredible combination of guru and yenta with a bit of therapist thrown into the mix—she’s that person you want and need in your life! Daniella has such an open, caring, and passionate approach to dating in NY that comes from a holistic, practical, and healthy viewpoint. On a more personal level, her engagement, sincerity, and her willingness to listen is something so special and genuine that I rarely get to see from many New Yorkers. I would absolutely recommend her for a dating advice, or just a little life-chat to make you feel energized, happy, and TLCed. Daniella’s positive energy is so contagious you can’t help but feel uplifted when you are around her! Her dating and relationship advice reminds me to stay true to myself and that we all deserve to have what we want in a relationship. I’m so grateful for all her words of wisdom! I am ever so grateful for Daniella’s weekly Love Letters that always seem to resonate with exactly what I’m feeling at the time. It’s uncanny. Seriously! I appreciate the reminder to always listen to my inner voice, and to honor it as my higher self and wisdom. I love the humor and the plain realness of her voice—great advice and encouragement with simplicity and clarity. Thank you Daniella! I am so happy to know Daniella. She is a great person–a sweetheart, a good friend, and what every girlfriend hopes for…she gives great dating advice!! Daniella is a dream of a lady. I treasure her wisdom that provides deep insight, and comes in an authentic, adorable, woman-who-lives-in-the-real-world-with-me package. As a person, I admire her enthusiasm for life and her genuine delight in learning and sharing with the people in it. Get in touch with Daniella – your day will be brighter. For real. Daniella is the epitome of energy and support. When we sit down together, her attention is totally focused and she’s as excited about my projects as hers. I really appreciate her listening ear, her gentle nudges and her superior encouragement. Daniella sees aspects of me that even I don’t see. I am so happy that she is on my side. “Hand on my heart, smile on my face.” The lovely Daniella shared her sweet and simple morning meditation with me and now I know there’s no need to jump in and out of bed. In fact, this is exactly how I want to begin and end all of my days—calm, centered and with intention. Thank you, Daniella! You’re an inspiration to me. Daniella is one of those people who you want to hug from the moment you meet her. She is loving and wise, and gives amazing advice. Oh, and those hugs? They’re pretty awesome, too.